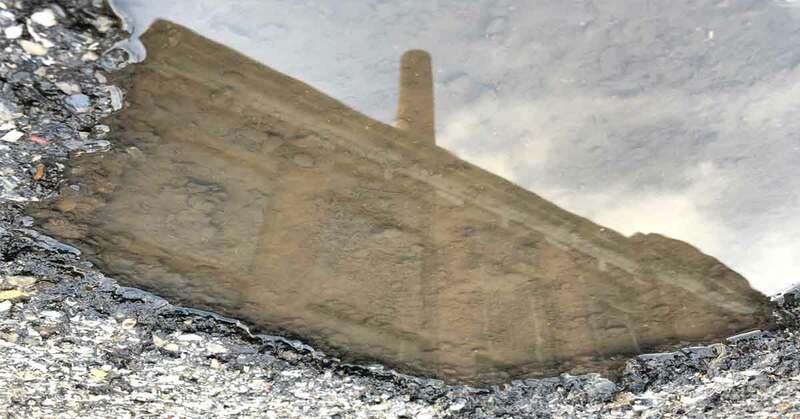 The pot hole puddle reflects the power plant on the Ohio State University campus. The building and asphalt combine for an industrial composition. Also the overcast sky on this day help set the mood.